Shape Up US contributes to building a healthy future for America’s children by hosting Health & Wellness Expos across the country that promote the improvement of the health, fitness and overall well-being of youth and their families. 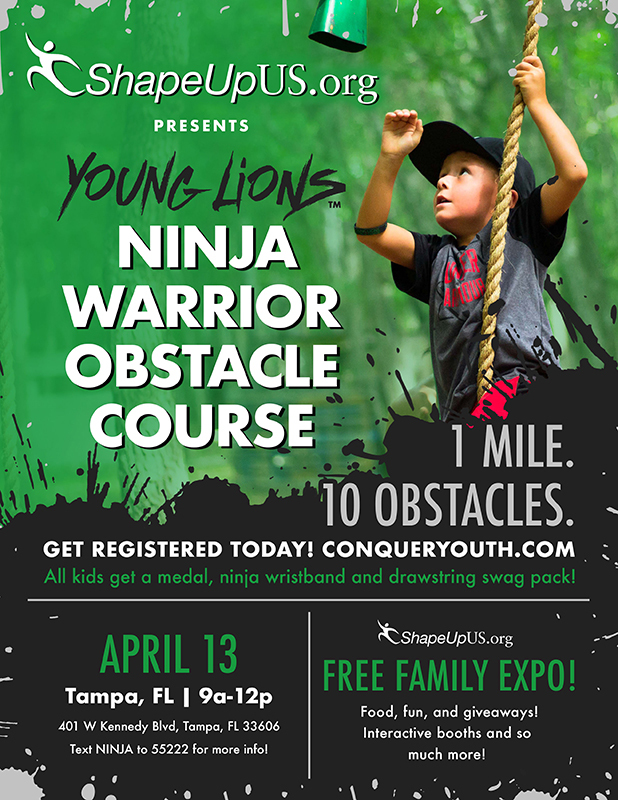 We are so excited to be joining forces with Conquer Youth (www.ConquerYouth.com) to bring you the Young Lions Obstacle Course- Conquer Youth™. It is the nation’s #1 Youth Ninja Warrior Obstacle Course for ages 5-17. Run, jump, crawl, climb, and swing through their amazingly fun and challenging obstacles. Each course will be around 1.25 miles long and feature 10 signature Conquer Youth™ obstacles.